Hyderabadis often joke that the only thing missing in our city is a beach. We have found a getaway that makes up for it — Chirala, a quaint beach town in Andhra Pradesh — is a seven-hour drive away. They even have buses that take you to the town, overnight. 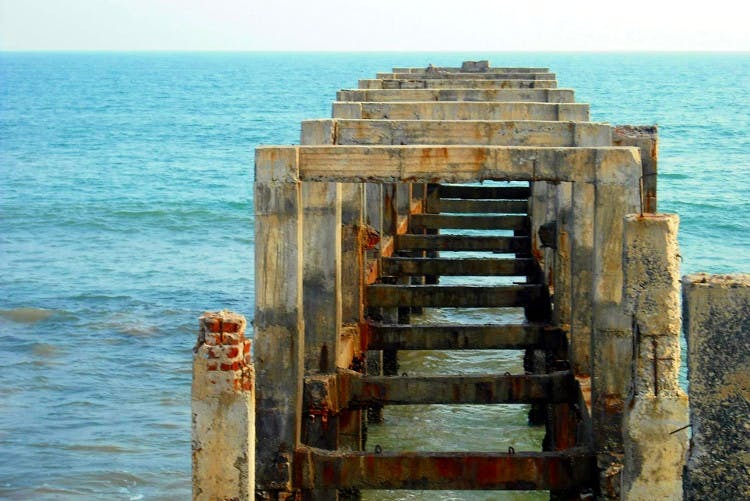 Suryalanka or Chirala beach is Andhra Pradesh's best-kept secret. The town is well connected, with easy access to public transport. Less than fifteen minutes away from the town, is one of the biggest resorts in this location - Sea Breeze Resorts. The place is complete with a pool overlooking the beach, beautiful landscape that couples regularly flock to for pre-wedding shoots, suite rooms with a view amongst natural vegetation, and the highlight of it all - access to a private beach. The food served is Andhra-style with added spices. While all dishes served are good, as it goes for any beach town, the seafood is their major specialty. They have multiple activities planned within the property — like a beach-side dinner, movies and campfire nights. There's an ample play area for children and adults. For a relaxing dip in the pool or sunset conversations over tea, this place is perfect. And the best part? The rooms cost INR 2,500 per night. Honestly, that's a fair price we can pay for private beach access, isn't?